The tour guide was a very jolly person and knew what he was talking about. I was the only Filipino during this leg of my tour. The guide knew how to talk and greet in different languages. He asked where some of the people came from and started talking or saying greetings in their language. Ayutthaya was a huge complex that probably cannot be finished in just one day. Some of the locations were pretty far apart from each other. You can also try the bicycle tours that are offered within the area. Taken in and digest the rich history and cultures that the ruins present. You can see the former splendor of the ancient history of Thailand through the ruins. The ruins were a sight to behold. After a tiring tour around the ruins I decided to ride an elephant for the first time. The elephant ride costs 200 Baht. After exploring the ruins I made my way back to the hotel and met up with a friend from college. We decided to meet up in one of the malls in Bangkok, Siam Paragon. I decided to take the train from Khao San Road to the city center.I still had to to explore the city center even if for just a few minutes. I made my way to Siam Discovery and took a look inside. The mall had its own Madame Tussaud's museum that cost somewhere around 800 Baht and up, I didn't include the museum in my itinerary because it was over my budget. Siam Paragon and Siam discovery were impressive malls in terms of design and shops inside, but I still liked Greenbelt and Bonifacio Global City more. I met my friend Lorina, she works in Thailand, we graduated in the same year in Ateneo. She took me to this restaurant in the city center that served good Tom Yum and other Thai dishes. The food was god but very spicy like most Thai dishes. After the awesome dinner, I still got to see more of the city center. The city center was so much different from Khao San Road. It was definitely more quiet, partly because it was a weekday, a Monday night to be precise. The city center was pretty much like Makati if I were to compare it to something familiar but there were more stores and stalls outside for food and shopping. You don't have to enter the malls to get what you need. We took a cab back to Khao San Road, the city transforms from old to new in just a few minutes. It's interesting to note that Bangkok tells a unique story once you leave the city center into old city and vice-versa. Old city reminds me more of Manila with its grit, historical places, and people, a defiant amalgamation of what's possible both good and bad. The temples are just amazing considering it was constructed several centuries ago. This is a must visit in Bangkok. My husband toured Thailand once and he's been wanting to visit the place again. Being a Buddhist himself, I'm pretty sure he'd be delighted to see Ayutthaya. I plan to go to Ayutthaya maybe next week or next next week. I won't join a tour and will travel backpacker style. 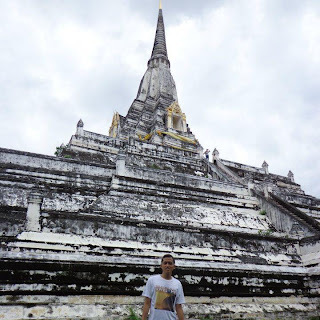 What is this area in Ayutthaya that you visited? 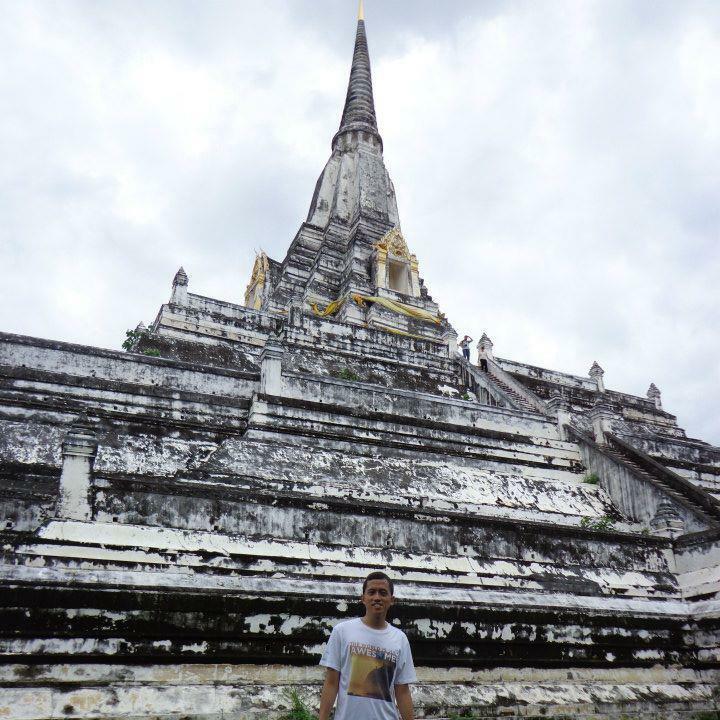 @Ishmael: I've actually forgotten where the exact places are but I remember Wat Mahathat and the reclining Buddha.